Every year the fragile balance within our environment becomes more apparent. Great West Engineering understands that sensible resource management is the key to our future. That’s why our natural resources team delivers solutions for the development, management, restoration and sustainability of our precious natural resources like rivers, wetlands, watersheds and forests. Our experienced team of engineers, scientists and designers are aware of the intricacies of environmental and natural resource projects and understand the importance of integrating our clients’ goals with practical, cost-efficient, and innovative solutions. We know how to take projects from the conceptual phase all the way through funding, design, permitting, construction management, and inspection. Whether you’re facing flood-control issues, restoring the natural beauty to a river or stream, or navigating through the complex web of environmental permits, we know how to integrate infrastructure into the natural environment to help our clients achieve their project goals. Our environmental scientists and engineers work closely with our clients, including federal, state, and local agencies as well as the private sector to ensure that the work is done effectively and benefits both the client and environment. By integrating sound resource management practices with state-of-the art technology and construction techniques, we offer focused, creative, and client-specific approaches to tackle a variety of projects. Great West has helped agencies at the federal, state and local level and private sector clients restore habitat, including streams, wetlands, and floodplains. 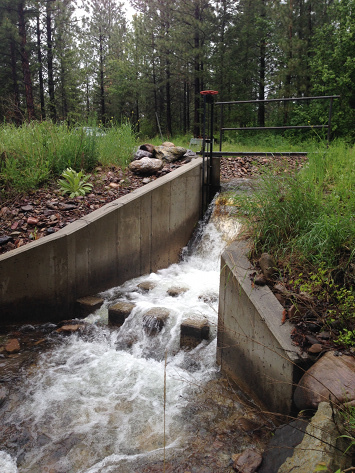 Our engineers, hydrogeologists, and ecologists can design the appropriate restoration solution for any site, from channel realignment to beaver mimicry and other nature-based techniques. Our ecologists provide accurate delineations to protect resources and help projects to proceed smoothly. Our scientists and engineers are experienced with Biological Assessments (BAs), Biological Resource Reports (BRRs), and Technical Specialist Reports. Our goal is to build a legacy of quality relationships with our clients, and we build that legacy by providing them with the highest level of customer service.